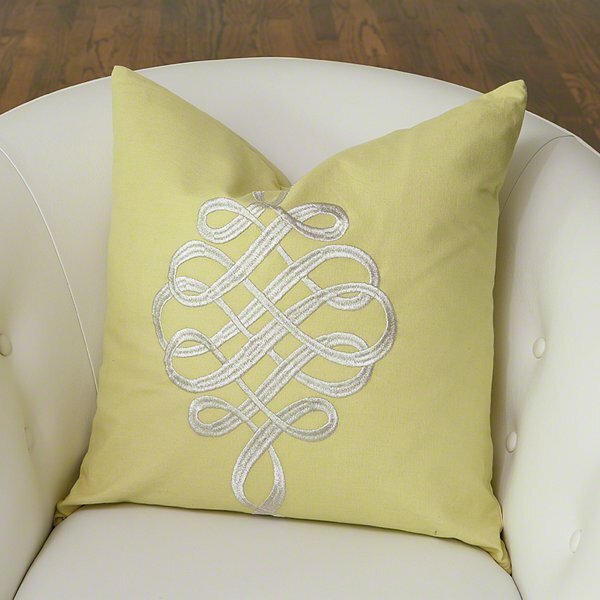 Global Views 9.92571 - A winding ribbon of arctic embroidery twists across our Scroll Pillow. The polished pattern, featured on both sides of the pillow, adds a opulent feel to any space. 100% cotton and filled with 100% polyester insert. Available in two colors: Ice Blue and Citrus.